You cannot go wrong with roast meat and wonton noodles. Have tried at random places on different trips and not come across unpalatable ones. Maybe we were lucky but the one that I like and always go back to is Yung Kee – recommended by a local during our 1st trip to Hong Kong many years back. 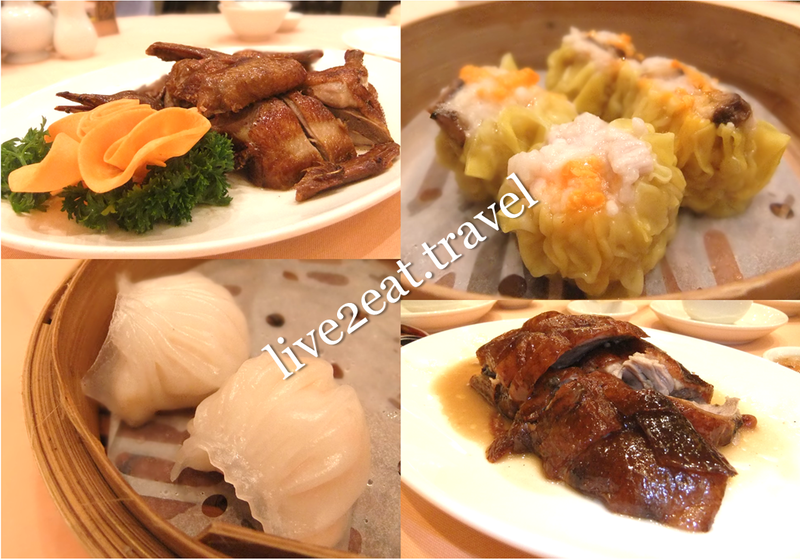 Its signatures included charcoal roasted goose and crispy roasted pigeon, which I fell in love with and never failed to order. Thin crisp skin with tender meat that was neither too dry nor oily, its taste was accentuated when dipped in the accompanying salt though some may find this combination too salty. Fret not if so since it is just as good as-is. A travel companion found the dim sum here the best that we had during our trip. Hong Kong's wonton noodles are not served with char siu and the wonton consists of prawns, not meat. At Mak's Noodle, the noodles were springy and wonton succulent but a tad salty and of the same standard as Singapore's. There are many street food stalls in Hong Kong selling ready-to-eat snacks such as curry fishballs or gah lei yu dan, egglets and stinky tofu. Was initially sceptical about trying but when I finally did, fell in love with these – from the smooth and chewy fishballs in spicy sauce to tofu reeking an odour that you can smell a distance away. The latter, crispy on the outside, is different from Taiwan's and I prefer this. The first time I tried egglet was when my travel companion and I found the queue at Tim Ho Wan too long. We decided to join the relatively shorter queue for egglet with lovely egg-aroma and crispy outside. 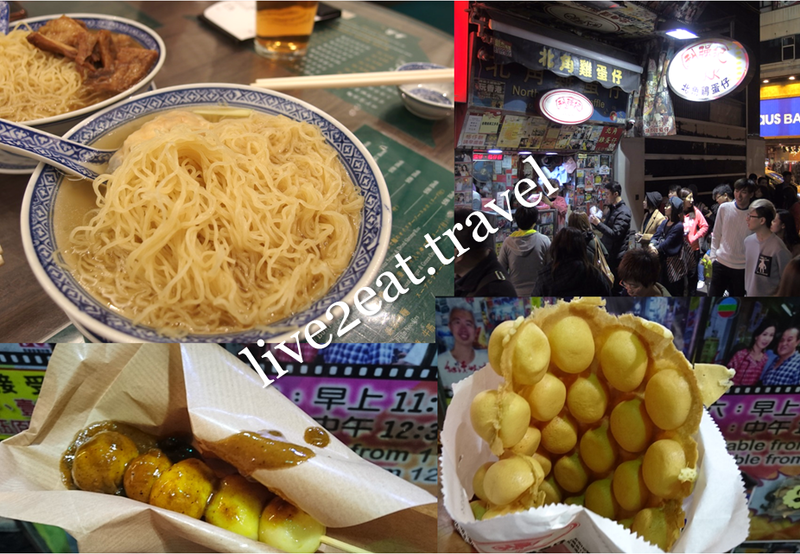 Other street food includes meats and intestines on skewers, braised and roast meats (the roast quail we bought back to eat in our hotel room was very salty) and steamed bowl pudding which we bought from an old lady on the street to try. I did not like the steamed sugar gelatinous cakes with red bean. Literally translated as sugar water in Cantonese, tong shui loosely means desserts. Again, I tried at random places on different trips and have not come across any that cannot make it. Traditional ones include almond/sesame/walnut paste, hashima and red bean soup. Kwai ling go or herbal jelly can be found in both desserts shops and herbal stalls that offer cooling tea. Some menus also have glutinous rice dumplings and tofu pudding on them. 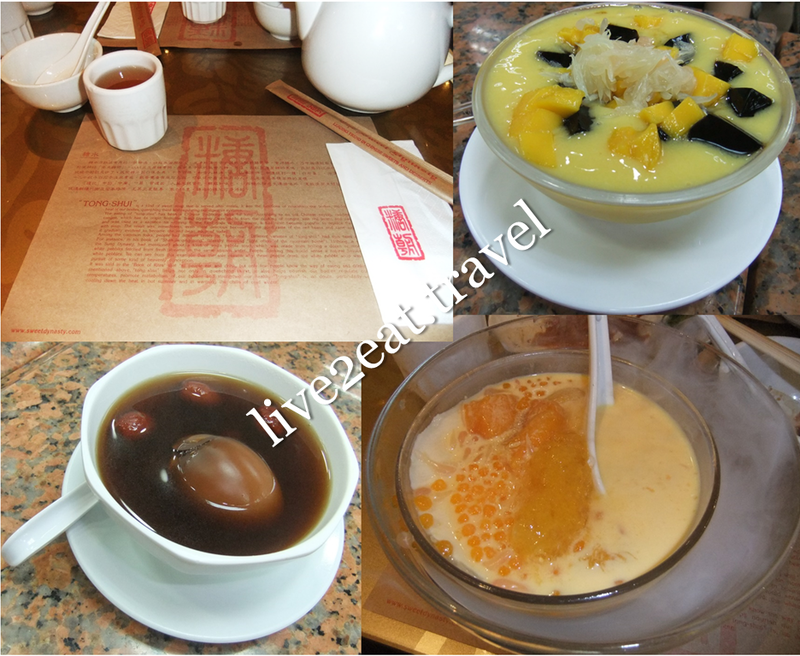 Hui Lau Shan Healthy Desserts is known for its mango desserts while Yee Shun Dairy Company is famous for its double-boiled steamed milk custard. While I have tried different items from the former, my favourite is its Sago in Mango Juice with Extra Mango.